Former Gov. James E. McGreevey is teaching ethics, law and leadership at Kean University. The Star-Ledger of Newark reported the nation's first openly gay governor earns $17,500 and has been an executive in residence since Nov. 1. "It seems to me, Jim McGreevey teaching law and ethics is a little bit like Doctor Kevorkian teaching health maintenance," state Republican chairman Tom Wilson told the newspaper. McGreevey resigned after announcing in August 2004 that he was "a gay American" who had had an affair with a male staffer. The male staffer named by McGreevey — Golan Cipel — was hired by the governor in 2002 to a $110,000-a-year homeland security post despite having little experience. Cipel has said he isn't gay and accused McGreevey of sexually harassing him. McGreevey said Cipel tried to blackmail him and that he resigned rather than succumb to threats. McGreevey was replaced by State Senate President Richard Codey, who is again acting governor following Gov. Jon S. Corzine's auto accident earlier this month. New Jersey does not have a lieutenant governor; voters in 2005 agreed to institute the post, beginning with the next gubernatorial election in 2009. The Kean job requires McGreevey to work up to 15 hours a week and helps the 49-year-old accrue credits in the state pension system. McGreevey said everyone is entitled to their own perspective and he didn't pick Kean because of the retirement benefits. "For a university like us to have the ability of a former governor — for what we pay him — it's an opportunity for our students we shouldn't miss," Kean President Dawood Farahi said. 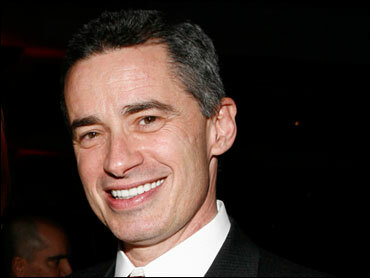 McGreevey filed for divorce from his wife of seven years, Dina Matos McGreevey, in February. The two have lived apart since November 2004, when McGreevey resigned. Matos McGreevey, who stood at her husband's side as he told the world he was gay, now lives in Springfield with the couple's 5-year-old daughter, Jacqueline. McGreevey lives in Plainfield with his partner, Australian-born money manager Mark O'Donnell.